While searching together in our craft supplies recently Tinker came across a full bag of yellow feathers. Without hesitating she popped the bag open. (Yes, feathers flew everywhere.) And she immediately started playing with them as she declared, “I want to make something with these.” Since we’ve been doing a lot of flower activities like our play dough counting garden and chalk counting garden, flowers must have been on our minds. 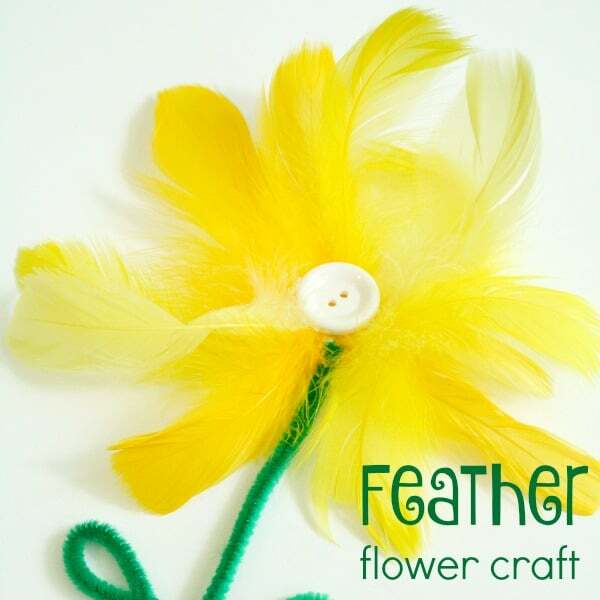 After a couple minutes of playing and brainstorming we came up with the idea for this feather flower craft. We made ours just for fun, but I think they would be beautiful on a large garden mural in a classroom or on the front of a Mother’s Day card. 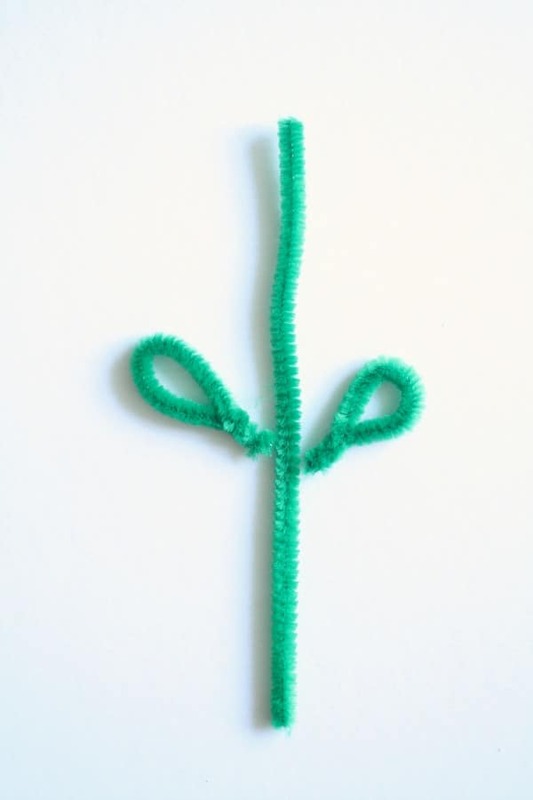 Start by making the stem and leaves and glue them in place. Next place a large amount of glue in the center at the top of the stem. 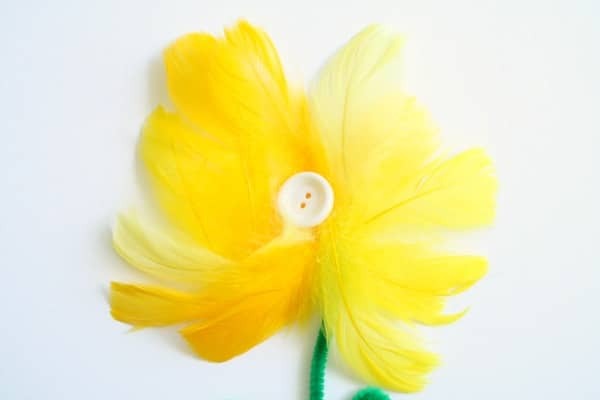 Arrange feathers around in a flower shape. 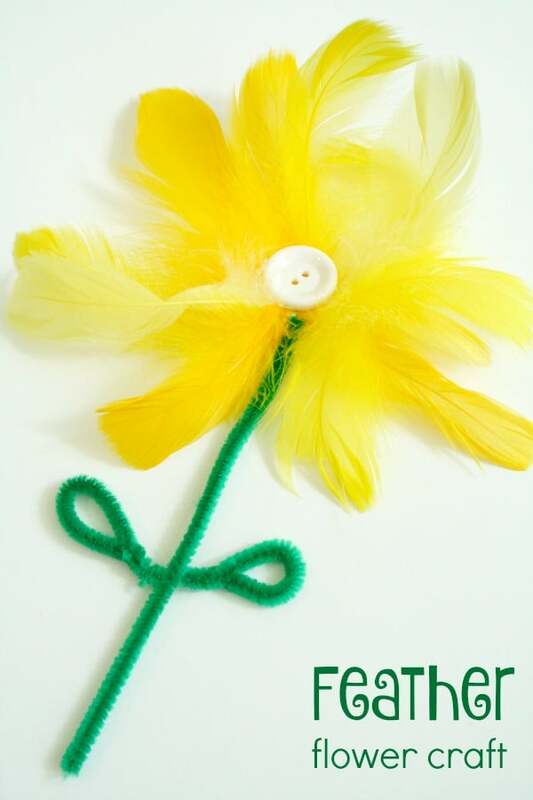 Finish by adding a little more glue and placing a large button in the center of the flower. That’s it! 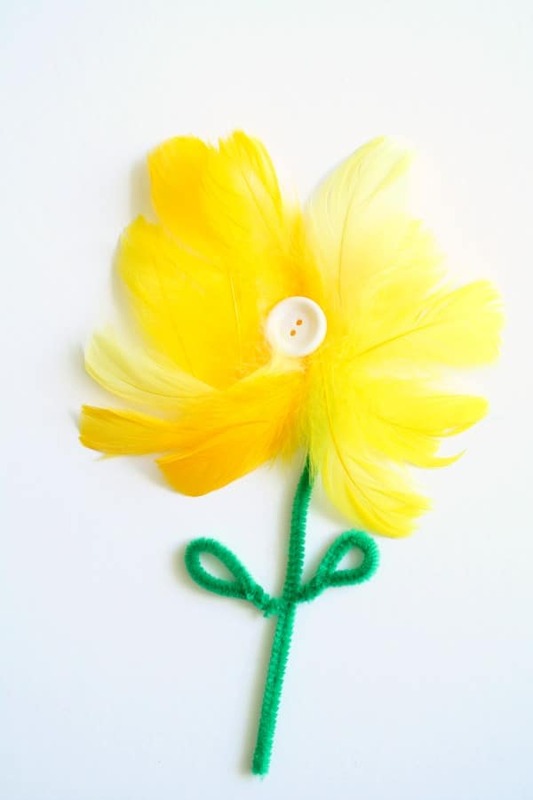 A quick and beautiful spring craft in minutes! 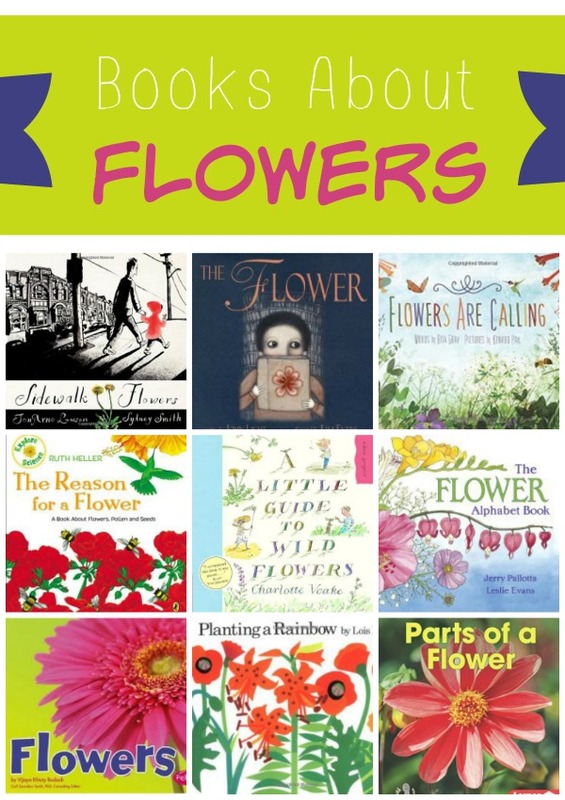 We think these would be pretty combined with others to make a large garden mural in a classroom or to use on the front of a Mother’s Day card. What else would you use them for?